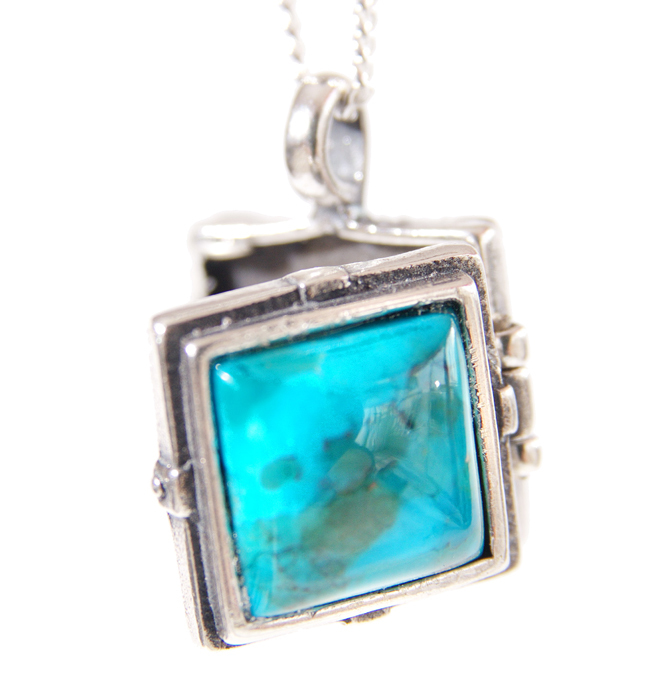 This two-sided square turquoise and sterling silver pendant necklace from Emunah Jewelry reads ''Tehilim'' (Psalms) and contains the entire Book of Psalms on a microchip. +Emunah Jewelry designs and produces all the pieces in its collection in a studio on Moshav Shoeva in the foothills of Jerusalem. 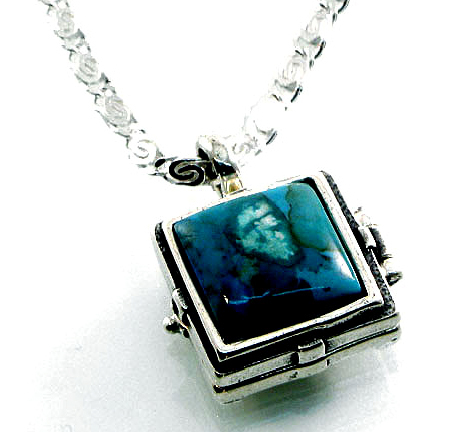 Emunah strives to create jewelry that features original design and fine craftsmanship. Motifs focus on Jewish themes.